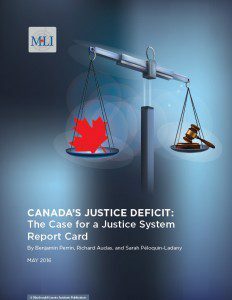 OTTAWA, May 5, 2016 – The large and growing gap between the aspirations of Canada’s justice system and its actual performance requires a regular report card on Canada’s justice system, a new paper from the Macdonald-Laurier Institute finds. 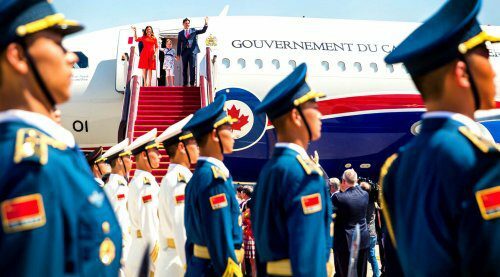 Canadians should have a system that protects the safety, lives and property of Canadians by promptly and thoroughly investigating crimes while enforcing the rights of victims. 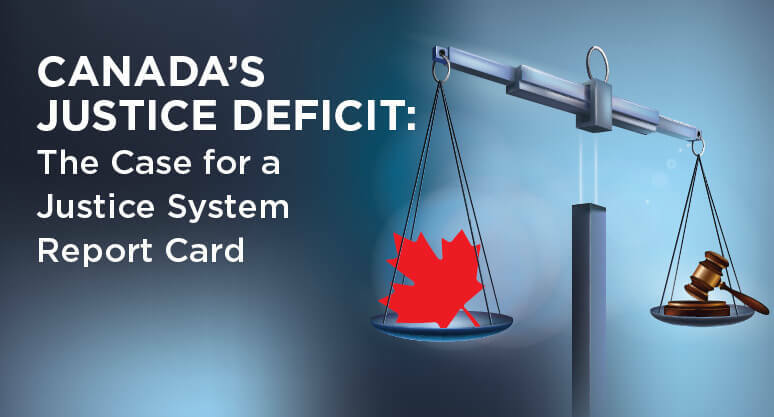 Instead the “justice deficit” is leaving Canadians with a system that is largely opaque, unaccountable, and slow, write authors Benjamin Perrin, Richard Audas and Sarah Péloquin-Ladany. 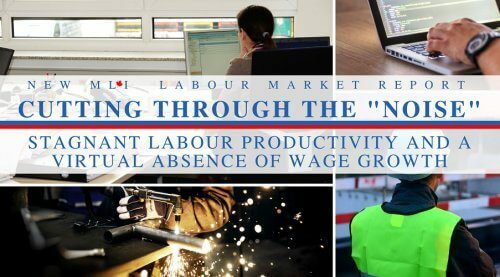 “This inefficient system is imposing economic and social costs on Canadians”, the report says. A recent poignant example of the consequences of this failing system occurred in Sherbrooke, Quebec, in October 2015. Murder and conspiracy charges against five members of that city’s chapter of the Hells Angels were stayed and the men were released from custody because of a lengthy delay in Crown’s disclosure to the Defence. Thirty-one Hells Angels members and associates who were caught in the same police investigation years earlier similarly had drug charges against them stayed due to unreasonable delay. The system was too slow and inefficient to fulfill its responsibilities. Other problems abound. The report finds that the justice system is complex and, for those without a lawyer, largely unnavigable. 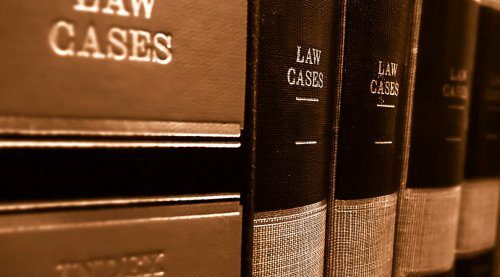 “Concerns about timely access to the courts and excessive – for many, prohibitive – costs of litigation raise ongoing questions about access to justice in this country”, the authors write. A significant concern is that it takes almost as many court appearances to resolve a case without trial (4.9) as it does for those that go to trial (5.5). 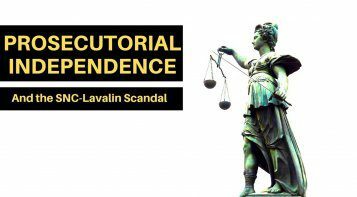 A lack of confidence in the administration of justice is not only harmful to our democracy, but threatens the security of Canadians due to under-reporting of crime, and is potentially hurting our economy. Different parts of the country are feeling the pinch in different ways. 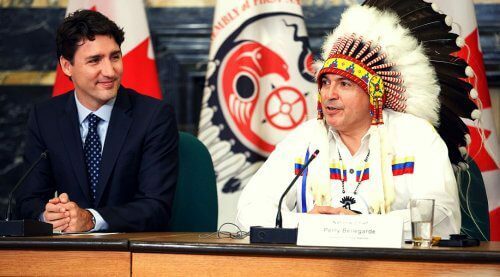 In Saskatchewan, for instance, the justice deficit is particularly prevalent for First Nations and Métis Peoples. Canada’s territories have perhaps the country’s worst justice deficit, exacerbated by the region’s rugged geography and sparse population. These problems require a regular and objective assessment of the performance of the justice system – a report card on Canada’s justice system. Regular monitoring, analysis and assessment of the performance of Canada’s judicial system would help tremendously to enhance the transparency and accountability of this central branch of government that is responsible for the protection of the rights and freedoms of all Canadians. A justice report card would be one-of-a-kind in its field, but it’s by no means unique as a means for improving public policy in Canada. Regular report cards that quantitatively assess other major institutions in our country, notably health care, education, and governance, have quickly gained credibility as a critical part of reform and ongoing improvement. “We hope that our forthcoming report card on the Canadian justice system will foster debate about the issues and challenges facing the Canadian justice system and lead to important reforms so that our justice system can live up to its name”, write the authors. 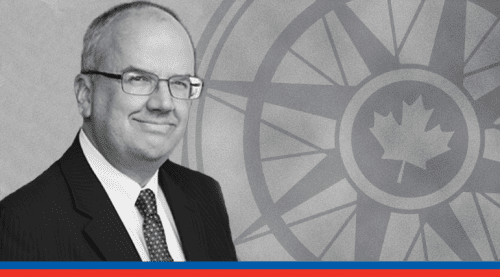 Benjamin Perrin is an Associate Professor at the University of British Columbia, Peter A. Allard School of Law, and a Senior Fellow at the Macdonald-Laurier Institute. Dr. Rick Audas is an Associate Professor of Health Statistics and Economics in the Faculty of Medicine at Memorial University in Newfoundland. Sarah Péloquin-Ladany is a third-year student at the University of British Columbia, Peter A. Allard School of Law.